You may apply for a passport at the County Clerk's office. Procedures are set by the United States government, which has a Website listing the full requirements for a US Passport. Passports take approximately 4 - 6 weeks before they are received. Rush Services are available. The photograph should contain your face from the bottom of your chin to the top of your head (including hair). Only a color photo is acceptable. You may provide the photograph or the photo can be taken at our office for a $10 fee in addition to the fees listed. The photograph must be clear, front view full face taken in normal street attire without glasses, hair accessories, or hat. The photo must be printed in permanent type thin paper with a plain white background. Family snapshots, most vending machine prints and full length photos are not acceptable. The total fee for a first time Passport book for an applicant 16 years or older is $145 and it is valid for 10 years: $110 of which must be paid by check or money order payable to the US Department of State, and a $35 execution fee that may be paid in cash or by check to the Ocean County Clerk or we accept Visa, MasterCard or Discover for the $35 payment only. The total fee for an applicant under 16 years of age is $115 and is valid for 5 years; $80 of which must be paid by check or money order payable to the US Department of State, and a $35 execution fee that may be paid in cash or by check to the Ocean County Clerk or we accept Visa, MasterCard or Discover for the $35 payment only. Present evidence that they are the parents or guardian and show valid personal identification. Parents must both sign and take oath before authorized Passport Acceptance Agent. If the second parent is not available to sign, the appearing parent must: do the above and present evidence that he/she has sole legal custody of the child (original custody documents issued by a court) or notarized written consent of the other parent (U.S. Department of State form DS 3053, must not be more than 3 months old and a photocopy of the front and back of the non-applying parent's ID is required with the written consent) or a notarized written statement (U.S. Department of State form DS-5525) (made under penalty of perjury) explaining why non-applying parent's consent cannot be obtained. 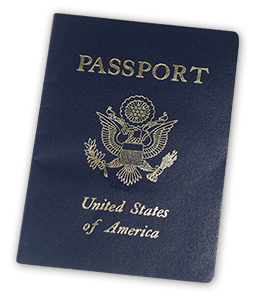 The County Clerk's Office also assists Ocean County residents interested in obtaining a United States Passport Card. The requirements to obtain a U.S. Passport Card are the same as the requirements to secure a U.S. Passport (see above).The Passport Card is only valid for land and sea crossings between the U.S. and Canada, Mexico, Bermuda and the Caribbean - Not for travel by air to these destinations. and a $35 execution fee that may be paid in cash, credit card or check payable to the Ocean County Clerk. Skip the line and get your birth certificate and other vital records through VitalChek.